Mahaney, W.C., Krinsley, D.H., Milner, M.W., Fischer, R.F., Langworthy, K., Did the Black Mat Impact/Airburst reach the Antarctic: evidence from New Mountain near the Taylor Glacier in the Dry Valley Mountains. Journal of Geology, in press, 2018. Mahaney, W.C., Somelar, P., West, Allen, Dirszowsky, R., Allen, C.C.R., Remmel, T., Tricart, P., Reconnaissance of the Hannibalic Route in the Upper Po Valley, Italy: Correlation with Biostratigraphic Historical Archaeological Evidence in the Upper Guil Valley of France. Archaeometry, in press, 2018. Mahaney, William C., The Hannibal Route Question and its Importance to Historical Archaeology, Archaeometry, submitted, 2018. Wolbach, W.S., Ballard, J.P., Mayewski, P.A., Parnell, A.C., Cahill, N., Adedeji, V., Bunch, T.E., Domínguez-Vázquez, G., Erlandson, J.M., Firestone, R.B., French, T.A., Howard, G., Israde-Alcántara, I., Johnson, J.R., Kimbel, D., Kinzie, C.R., Kurbatov, A., Kletetschka, G., LeCompte, M.A., Mahaney, W.C., Melott, A.L., Mitra, S., Maiorana-Boutilier, A., Moore, C.R., Napier, W.M., Parlier, J., Tankersley, K.B., Thomas, B.C., Wittke, J.C., West, A., Kennett, J.P., 2018b. Extraordinary Biomass-Burning Episode and Impact Winter Triggered by the Younger Dryas Cosmic Impact ~12,800 Years Ago.2. Lake, Marine, and Terrestrial Sediments, Journal of Geology, v.126 (2), p.185-205. Dohm, J.M., Fairen, A.G., Baker, V.R., Spagnuolo, M.G., Viviano-Beck, Karunatillake, S., Alvarez, O, Robbins, S.J., Schulze-Makuch, D., Anderson, R.C., Mahaney, W.C., Williams, J.P., Hare, T. M., Komatsu, G., Fink, W., Yan, J., Miyamoto, H., Maruyama, S., Evidence for an Early Mars Mobile Lithosphere (Proto-plate tectonic regime), Nature, submitted, 2018. Mahaney, W.C., Paleoenvironmental archives in rock rinds and sand/silt coatings. Journal of Environmental Research, in press, 2018. Mahaney, W.C., West, Allen, Milan, Alison, Krinsley, David, Somelar, Peeter, Schwartz, Stephane, Milner, Michael W., Allen, Christopher C.R., Cosmic impact/airburst on deposits/soils in the Western Alps of the Mt. Viso area, France, Quaternaria, in press, 2018. Dohm, J.M., Mahaney, W.C., et al (16 additional co-authors), Geologic expression of Earthlike subduction on Ancient Mars. J. of Geophysical Research, in press, 2018. Dohm, J., Mahaney, W.C., et al. (22 authors), Geologic and Hydrologic Histories of The Argyre Basin and surroundings, Mars, Icarus, in press, 2018. HERNÁNDEZ, A.C., BASTIAS, J., MATUS, D., MAHANEY, W.C., Insight into provenance, transport and diagenesis of sediment in polar areas: notes from Uruguay Lake, King George Island, Antarctica. Polar Record, in press, 2018. Somelar, P., Vahur, S., Hamilton, T., Mahaney, W.C., Barendregt, R.W., Costa, P., Sand coatings in paleosols: Evidence of weathering across the Plio-Pleistocene boundary to modern times. Geomorphology, in press, 2018. Mahaney, W.C., Somelar, P., Kelleher, B., West, A., Allen, C.C.R., The Black Mat Impact in the Western Alps: Geochemical Evidence. Geografiska Annaler, submitted, 2018. Dorn, Ronald I., Mahaney, William C., Krinsley, David H., Case hardening: turning weathering rinds into protective shells, Elements, v. 13, p. 165-169, 2017. Costa, Pedro, Kim, Young Do, Park, Y.S., Quintela, M., Mahaney, W.C., and Dawson, S., Imprints in silica grains induced during an open-channel flow experiment: determination of microtextural signatures during aqueous transport. Journal Sedimentary Environments, v. 87 (7), p. 677-687, 2017. Mahaney, W.C., Somelar, P., Pulleyblank, C., Tricart, P., West, A., Young, J., and Allen, C.C.R., Notes on magnetic susceptibility in the Guil valley alluvial mire correlated with the Punic Invasion of Italia in 218 BC. Mediterranean Journal of Archaeometry and Archaeology, v. 17, no. 1, p. 23-35, 2017. Mahaney, W.C., Somelar, Peeter, West, Allen, Krinsley, David, Allen, Christopher C.R., Pentlavalli, Prasanna, Young, Jonathan M, Dohm, J.M., LeCompte, Malcolm, Kelleher, Brian, Jordan, Sean, Pulleyblank, Coren, Dirszowsky, Randy, Costa, Pedro, Evidence for cosmic airburst/impact in the Western Alps archived in Late Glacial Paleosols. Quaternary International, v. 438, no. B, p. 68-80, 2017. Mahaney, William C., Christopher C.R. Allen, Prasanna Pentlavalli, Anna Kulakova, Jonathan M. Young, Randy W. Dirszowsky, Allen West, Brian Kelleher, Sean Jordan, Coren Pulleyblank, Shane OReilly, Brian T. Murphy, Katrin Lasberg, Peeter Somelar, Michelle Garneau, Sarah A. Finkelstein, Magdalena K. Sobol, Volli Kalm, Pedro J.M. Costa, Ronald G.V. Hancock, Kris M. Hart, Pierre Tricart, René W. Barendregt, Ted E. Bunch, Michael W. Milner, 2016a. Biostratigraphic Evidence relating to the Age-Old Question of Hannibals Invasion of Italy: I, History and Geological Reconstruction, Archaeometry, v. 59, p.164-178, 2017. Michelle Garneau, Sarah A. Finkelstein, Magdalena K. Sobol, Volli Kalm, Pedro J.M. Costa, Ronald G.V. Hancock, Kris M. Hart, Pierre Tricart, René W. Barendregt, Ted E. Bunch, Michael W. Milner, 2016b. Biostratigraphic Evidence relating to the Age-Old Question of Hannibals Invasion of Italy: II Chemical biomarkers and microbial signatures. Archaeometry, v. 59, p. 179-190, 2017. Mahaney, W.C., Krinsley, D.H., Razink, J., Fischer, R., Langworthy, K., Clast rind analysis using multi-high resolution instrumentation. Scanning, v. 38, no. 3, p. 202-212, 2016. Mahaney, W.C., Hancock, R.G.V., Somelar, P., Milan, A., 2016. Iron and Al Soil/Paleosol Extractions as Age/Environment Indicators: some examples from a catchment in Southern Ontario, Canada, Geomorphology, 2016, v. 270, p. 159-171..
Mahaney, W.C., Weathering rind age assignment of Neoglacial deposits in the Okstindan Mountains, Northern Norway. Quaternaria, v. 33, no. 2, p 131138. 2016. Mahaney, W.C., Schwartz, Stephane, Paleoclimate of Antarctica reconstructed from clast weathering rind analysis. Palaeogeography, Paleoclimatology, Paleoecology, v. 446, p. 205-212, 2016. Mahaney, W.C., Voros, J., Krishnamani, R., Hancock, R.G.V., Aufreiter, S., Milner, M.W., Physico-chemical and mineral composition of Neem tree soils and relation to nutrition/pharmaceutical properties, Geografiska Annaler, v. 98, no. 2, p. 143-154. 2016. Mahaney, W. C., Somelar, P., Dirszowsky, R. W., Kelleher, B., Pentlavalli, P., McLaughlin, S., Kulakova, A., Jordan, S., Pulleyblank, C., West, A., Allen, C.C.R. A microbial link to weathering of postglacial rocks and sediments, Mt. 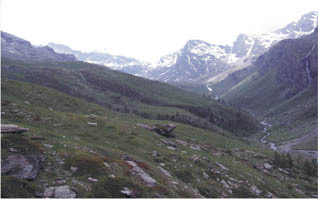 Viso area, Western Alps, demonstrated through analysis of a soil/paleosol bio/chronosequence. Journal of Geology, v. 124 (2), p. 149-169, 2016. Mahaney, W.C., The Hannibal Route controversy and future historical archaeological exploration in the Western Alps. Journal of Mediterranean Archaeology and Archaeometry, v. 16, no. 2, p. 97-105, 2016. Kennett, J.P., Kennett, D.J., Culleton, B.J., Tortosa, J.E.A., Bunch, T.E., Erlandson, J.M., Johnson, J.R., Parado, J.F.J., LeCompte,M.A., Mahaney, W.C., Tankerslev, K.B.,Wittke, J.H., Wolbach, W.S., West, Allen, Reply to Holliday and Boslough et al. : Synchroneity of widespread Bayesian-modeled ages supports Younger Dryas impact hypothesis, PNAS, doi:10.1073/pnas.1507146112/-/DC Supplemental, 2015. Dohm, J. M., T. M. Hare, S. J. Robbins, J.-P. Williams, R. J. Soare, M. R. El-Maarry, S. J. Conway, D. L. Buczkowski, J. S. Kargel, M. E. Banks, A. G. Fairén, D. Schulze-Makuch, G. Komatsu, H. Miyamoto, R. C. Anderson, A. F. Davila, W. C. Mahaney, W. Fink, H. J., Cleaves, J., Yan., B. Hynek, S. Maruyama, Geological and hydrological histories of the Argyre province, Mars, Icarus, v. 253, p. 66-98, 2015. Kennett, J., Mahaney, W.C., et al. 24 additional co-authors, Bayesian chronological analyses consistent with synchronous age of 12,825-12735 cal BP for Younger Dryas Boundary on four continents, Proc. Natl. Acad. Sci., U.S.A. v.. 112, no. 32, p.:E4344E4353, 2015. Mahaney, W.C., Hancock, R.G.V., Aufreiter, S., Voros, J., Milner, M.W., Bornean Orangutan geophagy: analysis of ingested and control soils. Environmental Geochemistry and Health, doi: 10.1007/s10653-015-9678-z, 2015. Mahaney, W.C., Pedological Iron/Al Extracts, Clast Analysis and Coleoptera from Antarctic paleosol 831: evidence of a Middle Miocene or Earlier Climatic Optimum. Journal of Geology, v. 123, p. 113-132, 2015. Mahaney, W.C., Clay mineral evidence of a bioclimatically-disrupted soil, Rouge River basin, south-central Ontario, Canada. Geomorphology, v. 228, p. 189-199. 2015. Liivamägi, Sirle, Somelar, Peeter, Ilze, Vircava, Mahaney, W.C., Kirs, Juho, and Kirismäe, Kalle, Petrology, mineralogy and geochemical climofunctions of the Neoproterozoic Baltic paleosol. Precambrian Research, v. 256, p. 170-188, 2014. Mahaney, W.C., Schwartz, S., Hart, K., Dohm, J., Allen, C.C.R., Mineralogy, chemistry and biological contingents of an Early-Middle Miocene Antarctic paleosol and its relevance as a Martian analogue, Journal Planetary and Space Sciences, v. 104, p. 253-269, 2014..
Mahaney, W.C. and R.G.V. Hancock, Holocene stratigraphy and paleoclimate, Okstindan Mountains, Norway, Geografiska Annaler, v. 97, p. 355-373, 2014. Liivamägi, Sirle, Somelar, Peeter, Mahaney, W.C., Kirs, Juho, Kirsimäe, Kalle, Neoproterozoic Baltic Paleosol: tropical weathering at high latitude? Geology, doi:10.113G35209.10, 2014. Mahaney, W.C., Krinsley, D.H., Allen, C.C.R., Milner, M.W., Batchelor, D., LeCompte, M., Kelleher, B., OReilly, S., Reassessment of the microbial role in Mn-Fe nodule genesis in Andean paleosols. Geomicrobiology, v. 32, p. 27-41, 2014. Mahaney, W.C., Keiser, Leslie, Krinsley, D.H., West, Allen, Dirszowsky, R., Allen, C.C.R., Costa, P., Recent Developments in the Analysis of the Black Mat Layer and Cosmic Impact at 12.8 ka., Geografiska Annaler, v. 96, no. 1, p. 99-111, 2014. Mahaney, W.C., Allen, C.C.R., Pentlavalli, P., Dirszowsky, R., Tricart, P., Keiser, L., Somelar, P., Kelleher, B., Murphy, B., Costa, P.J.M., Julig, P., Polybiuss previous landslide: proof that Hannibals invasion route crossed the col de la Traversette, Journal Mediterranean Archaeology and Archaeometry, v. 14,no. 2, p. 1-20, 2014. Mahaney, W.C., Hancock, R.G.V., Milan, A., Pulleyblank, C., Costa, P.J.M., Milner, M.W., Reconstruction of Wisconsinan-age ice dynamics and compositions of Southern Ontario glacial diamictons, glaciofluvial/lacustrine and deltaic sediment, Geomorphology, v. 206, p. 421-439, 2014. Mahaney, W.C. Barendregt, R.W., Hamilton, T.S., Hancock, R.G.V., Costa, P.J.M., Soil mineralogy and chemistry of Late Pliocene-Early Pleistocene paleosols on Mount Kenya: age and paleoclimate reconstruction, Geomorphology, v. 204, p. 217-228, 2014. Mahaney, W.C., Keiser, L., Krinsley, D., Kalm, V., Beukens, R., West, A., New Evidence from a Black Mat Site in the northern Andes supporting a cosmic impact 12,800 Years Ago, Journal of Geology, v. 121, (6), p. 591-602, 2013. Mahaney, W.C., Keiser, Leslie, Krinsley, D.H., Pentlavalli, P., Allen, C.C.R., Somelar, P., Schwartz, Stephane, Dohm, James M., Dirzowsky, Randy, West, Allen, Julig, P., Costa, P., 2013. Weathering rinds as mirror images of palaeosols: examples from the Western Alps with correlation to Antarctica and Mars. Journal of the Geological Society, Lyell Volume, v. 170, p. 833-847, 2013..
Mahaney, W.C., Kalm, V., Late Holocene paleoclimate and weathering history in the Norra Storfjället Mountains, Sweden, Deglacial record and soil stratigraphy. Geografiska Annaler, v. 95, p.145-158, 2013. Mahaney, W.C., Barendregt, R.W., Allen, C.C.R., Bray, D., Milner, M.W., Coprolites from the Cretaceous Bearpaw Formation of Saskatchewan, Cretaceous Research, v. 41, p. 31-38, 2013. Costa, P., Andrade, C., Mahaney, W.C. Marques da Silva, F., Freire, P., Janardo, C., Oliveira, A., Silva, T., Lopes, V., Aeolian microtextures in silica spheres Induced in wind tunnel experiment: comparison with aeolian quartz. Geomorphology, v. 180, p. 120-129, 2013. Mahaney, W.C., Barendregt, R.W., Hamilton, T.S., Hancock, R.G.V., Tessler, Dez, Costa, P.J.M., Stratigraphy of the Gorges Moraine System, Mount Kenya: Paleosol Record and Paleoclimate, Journal Geological Society (London), doi: 10.1144/jgs2012-079, 2013. Mahaney, W.C., Kalm, V., Late Holocene Paleoclimate and weathering history in the Norra Storfjället Mountains, Sweden: solifluction and 14C dated pedostratigraphy. Geomorphology, v. 173-174, p. 43-51, 2013. Fink, W., Sun, H.J., Mahaney, W.C., Kuhlman, K.R., Schulze-Makuch, D., Planetary imaging in powers of ten: a multiscale, multipurpose astrobiological imager. Astrobiology, v. 13, no. 11, p. 1005-1010, 2013. Julig, P.J., Mahaney, W.C., Kalm, V., Earl-Goulet, J.R., Geoarchaeological importance of sub-Arctic bird perches dated by lee-side turf mound accumulation and identified by lichen plumes. Polar Record, v. 49 (4), p. 373-380., 2013. Mahaney, W.C., Keiser, L., Weathering rinds-unlikely host clasts for an impact- induced event. Geomorphology v. 184, p.74-83, 2013.